Dr. Kamhi-Stein is co-editor (with G. Diaz-Maggioli and L. C. de Oliveira) of English Language Teaching in South America: Policy, Preparation, and Practices. 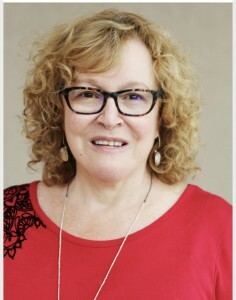 Additionally, she is editor of Narrating their Lives: Examining English Language Teachers’ Professional Identities within the Classroom (2013); Learning and Teaching from Experience: Perspectives on Nonnative English-speaking Professionals (2004); and co-editor (with Ann Snow) of Developing a New Course for Adult Learners (2006). She has published in TESOL Quarterly, TEXT, TESOL Journal, The Journal of Adult and Adolescent Literacy, College ESL, Lectura y Vida, as well as in other peer-edited journals, and edited books. Among other honors, Dr. Kamhi-Stein is a recipient of the David E. Eskey Memorial Award for Curriculum Innovation (2014), the TESOL International Association’s Excellence in Teaching Award (2012) and the California State University, Los Angeles Outstanding Professor Award (2004). She has served the California TESOL (CATESOL) association in many different capacities, ranging from state conference program chair, regional conference chair, CATESOL Board Secretary and President. She also served as a Director-at-Large on the TESOL Board of Directors (2004-2007). From 2007 to 2010, she served on the Editorial Board of TESOL Quarterly. She is a co-founder of TESOL’s Nonnative English Speakers Caucus Section (now an Interest Section) and CATESOL’s Nonnative Language Educators’ Issues Interest Group.